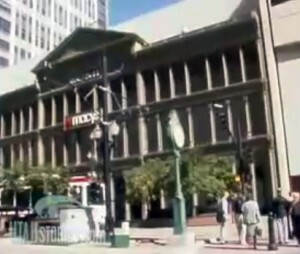 Five years ago Utah Stories produced its first documentary video asking why Crossroads Mall and the ZCMI Center were being torn down just thirty-five years after they were built to construct the City Creek Center. This was a question no other media outlet was asking. 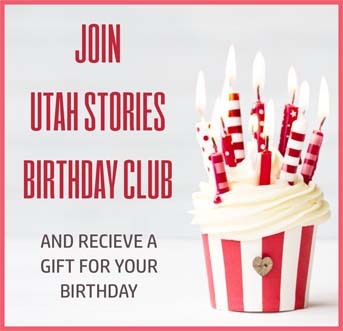 Instead, all they reported on was how wonderful the City Creek Center would be, and how great it was that the LDS Church was investing $1.5 billion in the blighted downtown Main Street shopping district. I was amazed that there wasn’t a single story questioning the sense in destroying buildings that had presumably run their course 35 years after they were constructed. Nobody was shedding any tears over the destruction of the malls, which had no historical nor architectural value, but still, nobody was questioning why they were built in the first place. It’s worth mentioning that the City Creek Center investigation was my first experiment into hyper-local journalism. After graduating from the University of Utah in Journalism and Film, it became clear to me that the main-stream media in Salt Lake– like much of the country — simply doesn’t want to ask tough questions, nor do investigations that require compiling several sources to paint a larger picture. Asking the “why” required too much time and energy when they were completely focused on the “what”. Especially the “what” that had the least amount of relevance to daily life. For this investigation I interviewed Tony Weller of Weller Books, Bart Stringham from Utah Woolen Mills, John Speros from Lambs Grill and the late Richard Wyrick (Mr. Downtown) of Oxford Shoes as well as city planners and historians. What I learned —besides how knowledgeable and eloquent all these men were on the important issues of downtown— was that not only was the media neglecting the voices of the small business, but city leaders were also neglecting the interests of the business owners who literally built downtown, with their hard work and tax base they paid over 150 years. Instead of helping these folks they were working to entice corporate America to invest in Salt Lake City to put the locals eventually out of business. This investigation clearly presented that politicians and city leaders have forgotten that 80% of their tax base comes from local small businesses, not corporate America. It is to the great detriment of locally-owned and operated businesses that city leaders provide huge tax incentives for chains to open their businesses in their area, while they do nothing for locally owned small businesses in terms of tax breaks. This doesn’t provide a level playing field nor a “free market”. This trend continues to the detriment of no only small business owners, but even more greatly to the culture of towns and cities across the West. A man I recently spoke to said, “When you find the same 10 stores in every city in America, Where is there any sense of culture or place?.” A good question, I didn’t have an answer. in August of 2010 in Utah Stories’ “Mall Wars” issue Utah Stories posed the question: What will now happen to the Gateway Mall once City Creek Center canabalizes most of their best tenants? Gateway cannibalized the best tenants from the Crossroads Mall and the ZCMI Center in 2001; just as the Crossroads and ZCMI put the Main Street local businesses under in the late 1970s. When nobody examines history or the bigger picture, history is destined to repeat itself. These mall wars are the result of city leaders partnering with “expert” developers to provide a retail shopping environment in-line with the fads of the day. But these designs always favor corporate retail over local small businesses. National mall corporations have national retail partners they favor in all their projects across the country. This takes the power out of local businesses, and local developers and places power into the hands of corporate owners who play cronyism. The LDS Church partnered with Taubman to build the City Creek Center. Taubman has enticed a lot of great tenants into the new City Creek Center, but what favors has Taubman provided to Abercrombie and Fitch, Old Navy and Express to be lured away from Gateway— owned by the Utah based Boyer Company? These giant chains as well as at least 12 othershave all given up on Gateway to now reside in the City Creek Center. Lease details and terms are not public information. But we can be assured with 99% certainly Taubman nor CCRI will answer our tough questions, which they have dodged for the past five years. If all of the effort City Leaders put into attracting outside investment were instead put into improving conditions for local businesses to survive and thrive on Main Street, Salt Lake City would still have Wolf’s Sporting Goods downtown, as well as the Paris Company, Auerbachs, Broadway Music, Keith O’Brien, Buster Brown and about 40 other businesses that collapsed after the malls were built. 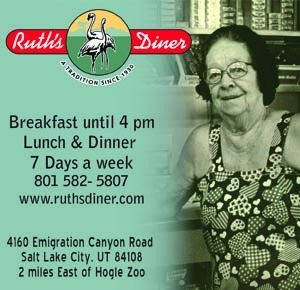 But instead these businesses went under as a direct result of city leaders believing the “experts” and corporations were much more knowledgeable than local business owners regarding the growth and development of Salt Lake City. Local small business owners are the largest portion of our tax base, they provide the culture, community and leadership for shaping every great city into a great place, its about time the media and politicians understand these facts. What Would Jesus Do With Two Billion Dollars?